Connect your interiors with your exteriors. We have a natural connection with the outdoors. The sky, trees, water, earth, and other outdoor elements make us feel refreshed and calm. How do we get these elements from the outdoors inside our homes? The obvious answer is by bringing plants into our living space. Although a simple solution, here is 10 effortless ways to bring the outdoors in. Picture taken from Starstruck project, by Billy Bolton Photography. Invite natural fibres, textures and patterns into your living space. Wicker, rattan, hemp, and jute are all materials that are inspired by nature. 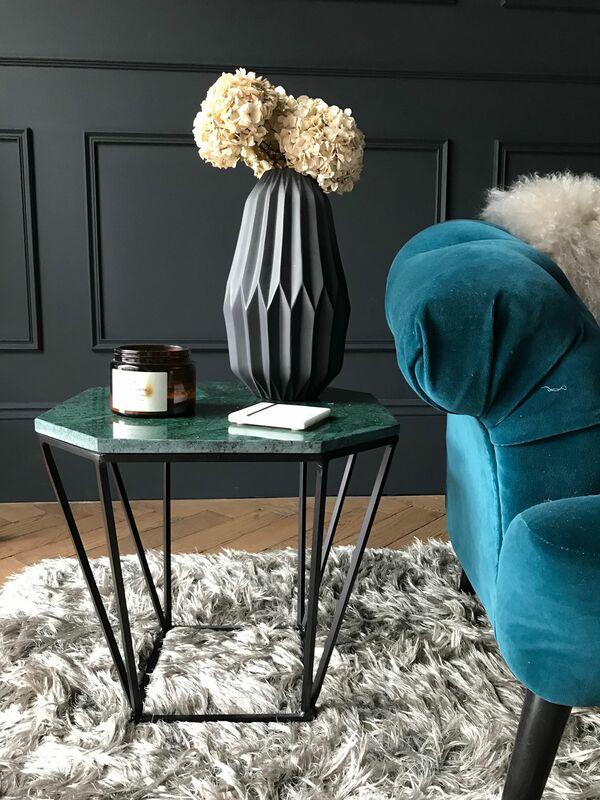 These materials for furniture are perfect for creating a comfortable oasis to relax in. Accessories with woven baskets, rugs, and even lampshades. Image taken by Adam Carter. Play with nature’s colour palette. Green colours remind us of the earth, grass and plants. Blues are refreshing like water and the sky. Yellows evoke a sense of freshness, like the sun and fresh flowers. Neutral tones such as whites, tans and beige’s make your interiors feel natural, and clean. Inject these colours into your home through painted kitchen cabinets, walls, soft furnishings, bedding, and accessories. 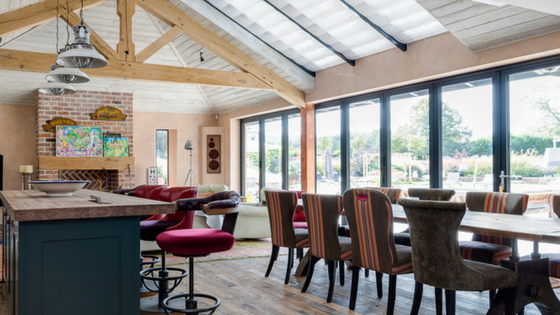 Image taken from our Outdoor Living project, by Chris Snook Photography. 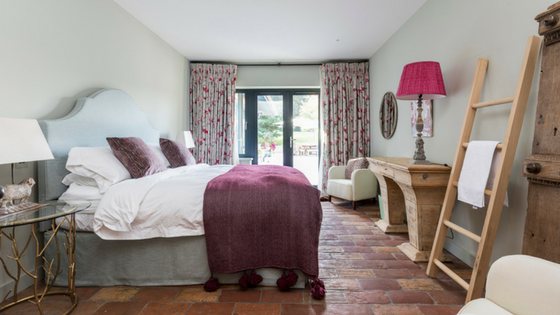 Limestone, terracotta, wood, are all flooring materials that feel warm, natural and inviting underfoot. 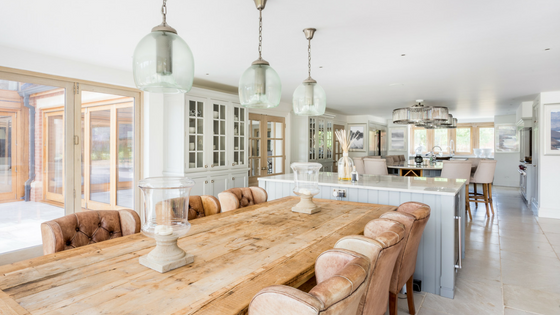 Natural stone flooring offers a practical and hard wearing surface with a multitude of colours and textures. Stone is a dynamic and versatile product which suits both traditional and contemporary interiors. 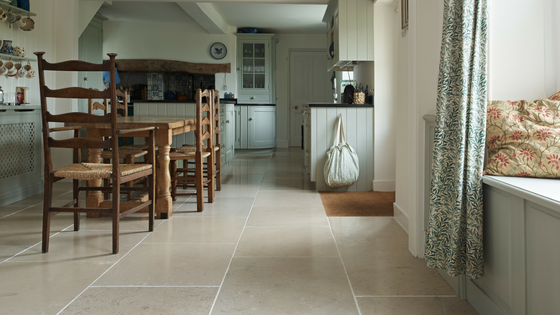 The majority of stone tiles can be used both indoors and outside for flooring. Stone can create a coherent and seamless feel between your outdoor and indoor living space. Use elements found in nature in your decor. 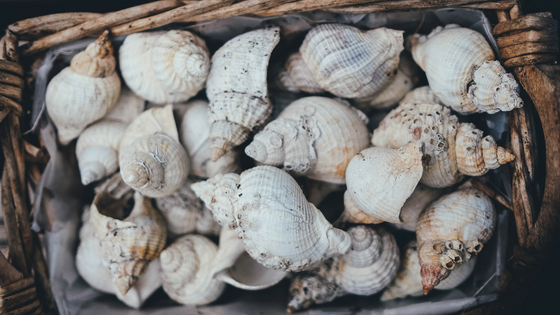 Rocks, sea shells, jars of beach sand, driftwood, and straw are just a few elements which you can incorporate into your everyday living, to bring the outdoors in. Try adding photographs and murals of these elements if you don’t have the real thing to hand. Every room should have a design feature, and your outdoor room or space is no different. A weatherproof piece of outdoor art can draw people outside, and make the outdoor space feel part of the home. 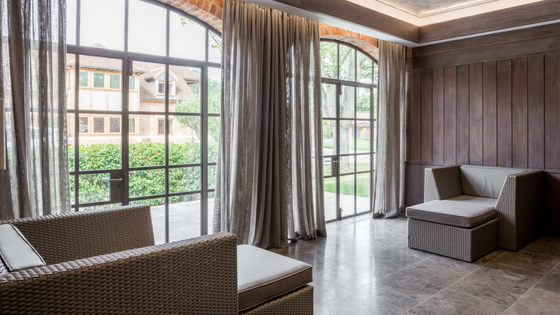 To effectively link your indoor and outdoor areas, keep some consistency in the design of the two spaces. For example, the antique terracotta brown in the dining room above picks out the beautiful timber framing in the courtyard. Entice your senses with scents from the outdoor. Woody incense, and floral potpourri scents are always a treat. The earthy tones can help create the feeling of being outdoors in your own home. Natural light is absolutely free and is great for the soul! Replace heavy drapery with lighter fabrics or white painted shutters. If your home is glass fronted, install vertical blinds for privacy, which can still let the light in. Opening up an entire side of your home with floor-to-ceiling glass doors is a high-impact change that could revolutionise your daily life. The glass fronted design is especially suited to contemporary builds, however it could work well for period home renovations too. Decorate with fruits and leaves. The latest interior décor trend is inspired by tropical fruits and palm leaves. Accessorise with pineapples, oranges, and greenery to bring the feeling of the outdoors into your interiors. For those more adventurous, create a feature wall with a tropical inspired wallpaper, or add colour and pattern with tropical motif cushions. 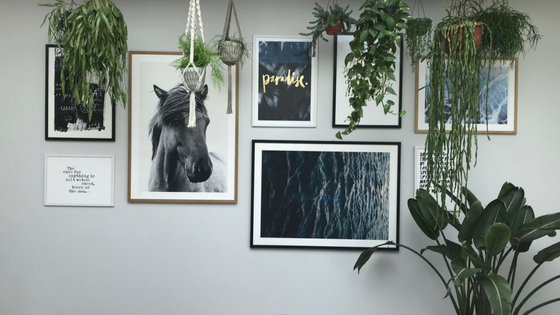 Create a living wall of art. 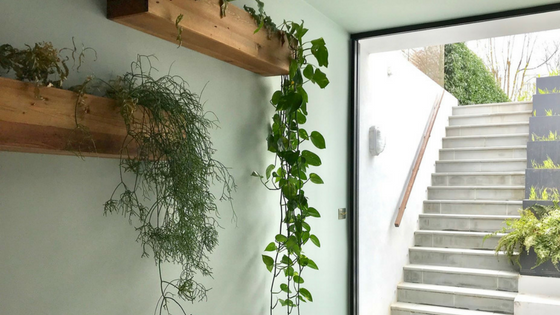 A living wall is a great way to introduce greenery into your home and refresh a space, creating a modern and sophisticated look that will add interest and colour. Living wall planters come in a variety of sizes, so you can tailor the wall to suit your space.